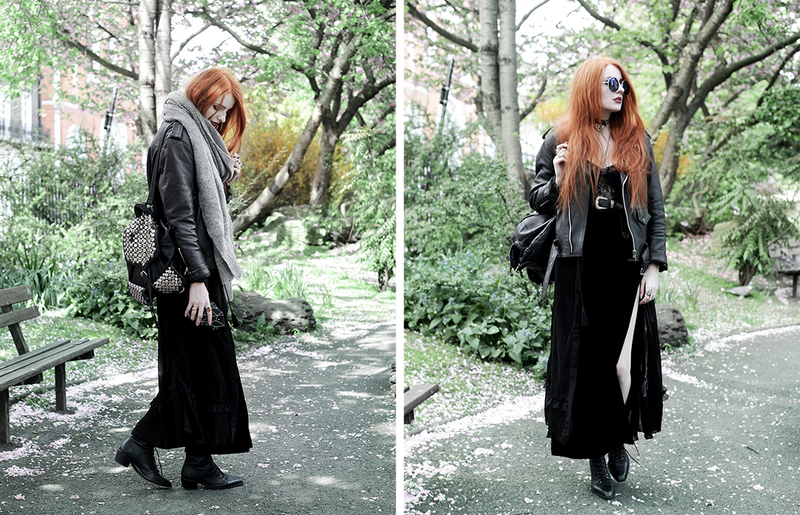 Due to the weather, I thought this would be an awesome time to share this outfit post with you. This was shot as Spring started warming up (hence the cherry blossom! ), but I couldn’t post it at the time. I’ve held back on posting it – mostly due to feeling daft posting a look with a scarf in summer – but now seems like the perfect chance. In order to talk you through some of my layering tips for when the weather changes throughout the day, I’ve got to start with the staple. The key piece that it all begins with – a sizeable bag. I know, a bag seems the least layer-related things ever, right? But say you’re wrapped up, all cosy in layers of a scarf, jacket, cardi – where do you put your layers when the sun makes an appearance? It can get toasty carrying around all your extra layers – having that bag space on-hand is a lifesafer! When layering, I’ll start with a base that will work for a warm indoor temperature. From there I just add jumpers, cardigans, hoodies etc. – as many as appropriate depending on fabric thickness, and weather (generally I’ll favour a hoodie over a cardi/scarf if it’s due to rain). One of the main aspects of layering that I love the most is playing with different lengths – adding open button-down maxi dresses/cardis over shorts, minis, or skirts with splits. It’s also a great way to add more texture to an outfit, so with that and different lengths you can easily create an outfit with visual depth! Thanks so much for stopping by to read my blog, it really does mean so much to me! 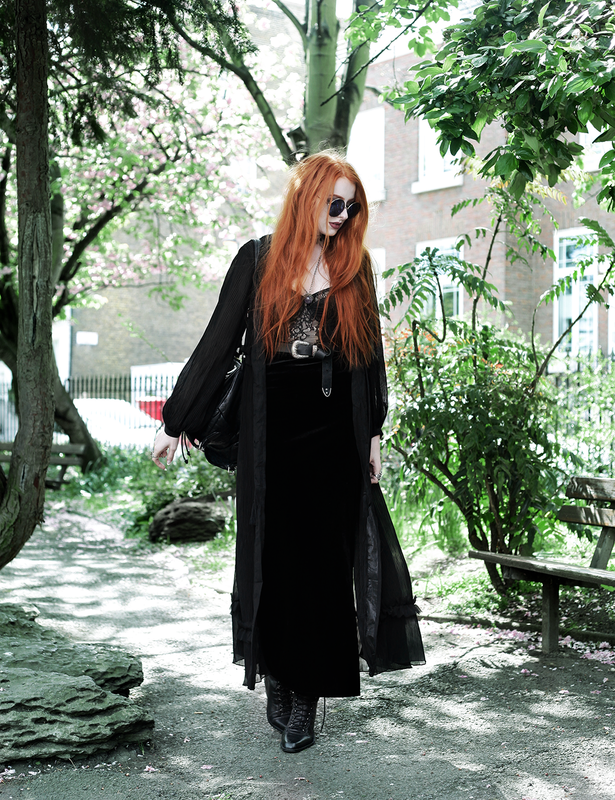 This outfit is so witchy and cosy! I really dig your take on layering. I tend to approach layering in a similar fashion, but instead of staring with a bag, I’ll start with a jacket . Something big and warm that won’t become restrictive with layers of clothing. Then I’ll find a scarf to match and finish with the rest of the outfit.